Today we made a start on map reading. 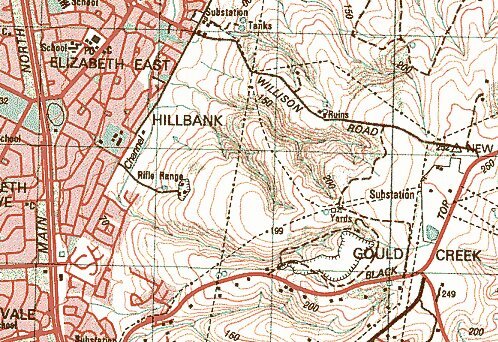 When you have read and absorbed the ‘Getting on the map’ Spatialworlds posting, use the Adelaide topographic map supplied to answer the following questions. I also suggest you check out the GeoScience Australia map site to get more information and understanding on mapping. Do you read/write Northings or Eastings first? What is the Latitude and Longitude of the eastern side of the Adelaide map? What is the contour interval of the map? ____ (you may wish to research what a contour line is before answering this and the next few questions). Would the contour interval of the Himalayas map be smaller or larger than this map? What is the 4 digit grid reference for the grid square of the map which contains the highest points on this map? What is the height above sea level of Thebarton Senior College? What colours are used on this map to represent natural features? What colours are used on this map to represent human features? What is the direction of Hope Valley Reservoir (8840) from the Adelaide GPO? What is the bearing of Football Park (710373) from Thebarton Senior College? Why do you think Adelaide city is located where it is? In what direction are the Adelaide hills trending/aligning? What is the projection of this map?